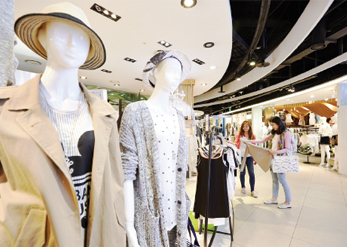 Fashion trends in Korea change as quickly as the weather; there are new styles blooming with the passing of seasons, giving a variety of options to choose from when shopping. Korean clothes have a reputation for being durable and having sophisticated styles, designs and patterns. Many fashion districts such as the Edae (Ewha Woman’s University) area, Myeong-dong, and Dongdaemun Market offer great clothes and accessories, where you can get quality products at a reasonable price. The streets of Apujeong or Cheongdam-dong not only have separate shops for international brands but also editorial shops that showcase popular items from international brands all in one place. Sinsadong Garosu-gil Road, Hongdae and Samcheongdong-gil Road feature unique fashion items made by local designers. Itaewon, often called the “Foreign Country within Korea,” is known for its large expat population and its huge selection of international products. 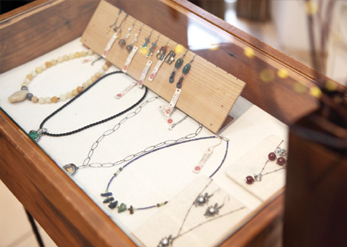 Because of its large number of international visitors and residents, Itaewon has gained a reputation for selling colorful items with unique styles in a wide range of sizes. SPA brands have recently gained popularity for offering high-quality products at affordable prices. They can be found in main retail areas and mega shopping malls. Along with the rise of hallyu, “K-beauty,” or Korean beauty products, is very popular among tourists. The youthful beauty of Korean celebrities on media has contributed to the popularity of Korean beauty products. Korean cosmetics are also popular due to its low cost in comparison to the high quality. Many efforts have been made to reduce the expensive price of cosmetics by simplifying the packaging and reinventing the distribution process. K-beauty includes basic makeup, nail, body, and hair items, to more specialized products such as hanbang (traditional Korean medicinal ingredient), wrinkle treatment, whitening, moisturizing, and anti-aging. 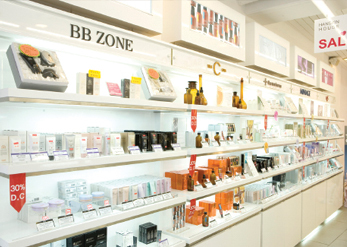 Face masks, BB cream, and whitening products are most popular among tourists and can be found in department stores, large supermarkets, and duty free shops. In particular, the streets of Myeong-dong, Edae, and Shinchon have cosmetic brand shops with staff that provide foreign language services for tourists. Eyeglasses can be an essential item for fashion and Korean eyeglasses are especially known for their unique and stylish designs. 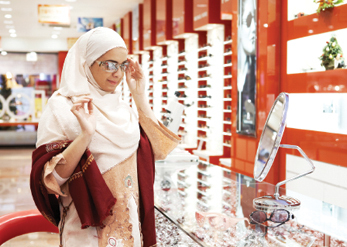 The majority of Korea’s optical stores are concentrated in Namdaemun Market and Myeong-dong. 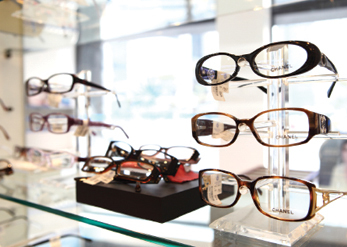 There are many optical stores, both wholesale and retail, in Namdaemun that offer eyeglasses at prices approximately 30% less than shops in other areas. In Korea, opticians are not permitted to practice without a license, so customers can be assured that they are getting nothing but the best in care, from exams to fittings, in a speedy manner. Recently, Sinsadong Garosu-gil Road, Itaewon and Hongdae feature an increasing number of brand eyewear stores with the latest trends. This page was last updated on October 1, 2018, and therefore information may differ from what is presented here.